Daniel graduated from Warsaw School of Economics in the faculties of Finance and Banking as well as Quantitative Methods and Information System. 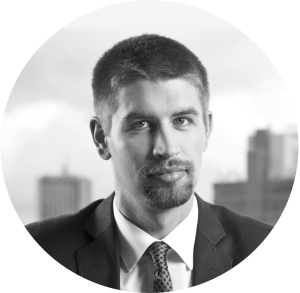 Since 2005 he has worked for professional consultancy companies (PwC, Deloitte, EY) in tax advisory departments where he worked on the optimization of financial reporting, design and development of dedicated IT solutions for data aggregation. During his professional career Daniel has led many implementations of custom software for the largest Polish companies and many leading international organizations. We are a relatively young team – we were brought together by our common interests and a desire to create an intimate work environment. We gathered our experience by working for many companies from different industries – where we increased the efficiency of operations by the effective use of modern technologies. In response to the diversity of our customers’ requirements, we continually develop our team to provide services at the highest level. Marcin is a programmer specializing in database technologies and MS .NET. He gained his experience while working in IT depertments of companies from FMCG branch where he was responsible for the development and maintenance of custom inhouse software for financial reporting. Jakub specializes in web technologies. He has over 5 years of experience working in IT companies that provided web and cloud solutions. Magda is a photographer and graphic designer – she is responsible for preparation of digital art for our web and mobile solutions. Jarek is a graduate student of Polish-Japanese Academy of Information Technology – he specializes in development of mobile solutions for IOS platform.